Macron’s rise has been meteoric. One year ago, his decision to quit the government and launch his own political movement was seen as crazy by virtually all of France’s political establishment. But yesterday, the 39-year-old outsider was elected the eighth president of the Fifth Republic, beating the National Front’s Marine Le Pen by almost 66% to 34%. At close to 25%, the abstention rate was at its highest in recent years. Around four million white or spoiled ballots were also counted. 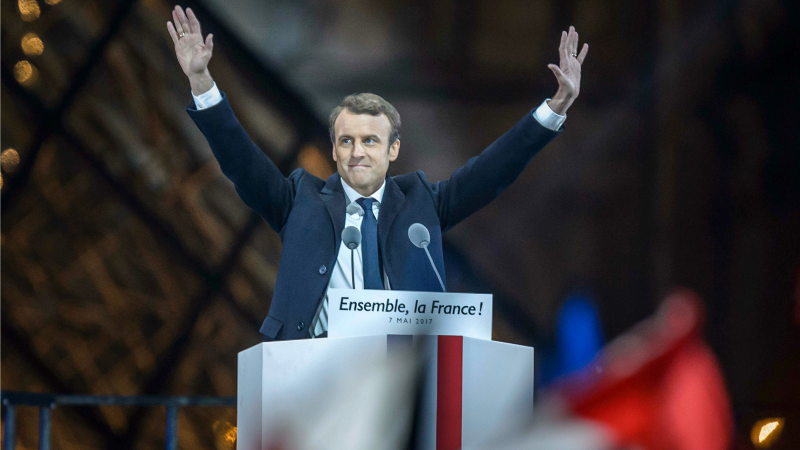 Emmanuel Macron was elected French president on Sunday (7 May) with a business-friendly vision of European integration, defeating Marine Le Pen, a far-right nationalist who threatened to take France out of the European Union. “This is a magnificent result,” said centrist Democratic Movement party leader François Bayrou, who rallied behind Macron early on. “France is sending the world a message of hope,” he added. But this election clearly revealed just how divided France is. 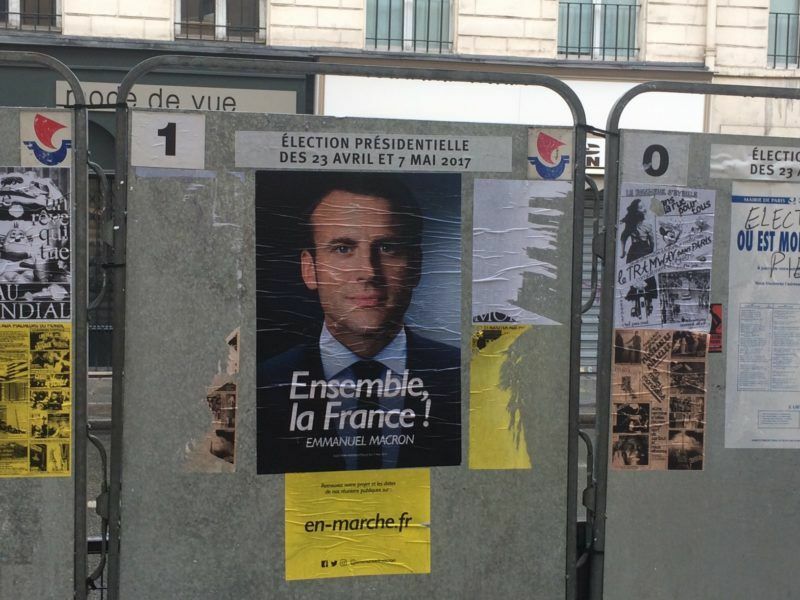 Macron garnered around 20 million votes but some 11 million French citizens expressed their desire for a fundamental change in direction by voting for Le Pen. After beating the extreme-right candidate by 23.8% to 21.5% in the first round, experts estimate that the second-round victor attracted the support of almost all the traditional Socialist Party, Green and centre-right voters. Yet, unlike in 2002, when incumbent right-wing resident Jacques Chirac faced off against National Front founder Jean-Marie Le Pen in a traumatic second-round ballot, many of France’s traditional right-wing voters chose to back the National Front candidate. Fifteen years ago, Le Pen Senior’s progress was blocked by a truly united Republican Front, losing by 82% to 18%. 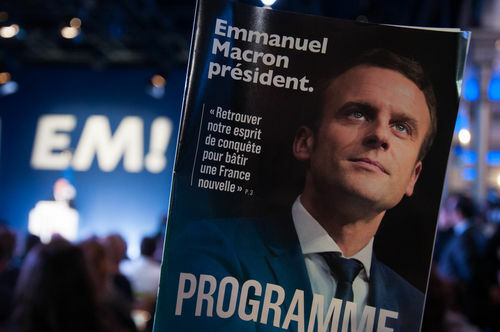 As the only overtly pro-European candidate, Macron benefitted from the strong desire for renewal among French voters but also from his rivals’ errors. Fillongate, the internal splits in the Socialist Party over its candidate Benoît Hamon and the ongoing legal proceedings against Le Pen all contributed to making Macron look a credible choice. In her concession speech, Le Pen welcomed “the elimination of the old parties and the reorganisation of French politics between the patriots and the globalists”, adding that she was “worried” about what the coming presidency would bring. “I will propose a thorough transformation of this movement and I call on all patriots to join me,” she said. “The governing parties will have to accept the consequences of having been beaten in the first round,” said Republican grandee François Baroin. Dominique de Villepin, Chirac’s former prime minister, highlighted the territorial fractures dividing the country and called on the future president to “work for reconciliation”. Outgoing President François Hollande also joined the chorus of congratulations for his former advisor and protégé. “I have called Emmanuel Macron to congratulate him wholeheartedly on his election. I wished him every success for our country,” Hollande said on Twitter. The official transfer of power to the new president will take place at the Elysée Palace this Sunday (14 May). 5 more years of decline. France is incapable of reform. Are you confusing them with your home country Russia again? Remember 1917?